Considering that Sony has already started ramping up for the PlayStation 5 for its eventual release, there is some discussion as to when the PlayStation 4 and PlayStation 4 Pro get a price cut. One of the analyst is of the opinion that they are likely to come sooner than later. 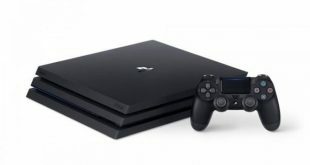 Wedbush Securities analyst Michael Pachter, noted that, as they did the previous year during the same time, Sony will likely introduce price cuts for the holiday season for both PlayStation 4 as well as PlayStation 4 Pro during Black Friday, which will come up next month right after Thanksgiving. The price could drop even more than the last time. Last year, PS4 Slim bundles could be bought for as cheap as $199, which means that GameStop, Best Buy and the other retailers could find such a “sweet spot” with consoles yet again. The PS4 Pro could possibly stick around the $349 price point. That is not final, to say the least, but it could very well happen, giving the PS4 yet another big boost as it goes into its 2019 gaming season. The real question now is what Microsoft and Nintendo will do to keep up with their momentum. As one may recall, last year Microsoft had to introduce its own price cut on the Xbox One to keep up with the PS4, a move that had paid off pretty well in terms of sales. It could do the same thing again now with a number of its bundles, pushing more and more Xbox One S units out the door. However, it is hard to tell what the company will do with the Xbox One X at this point of time, though a price cut down to $399 or $449 would not be the worst thing. Or at the very least, bundling a nice game like Forza Horizon 4 to just sweeten the deal. Considering that Black Friday is only a few weeks away, we are likely to see what these companies have planned fairly very soon. We will keep you filled in on what is happening as we lead up to the big sales day. So, start saving those dollars now! The Tech Geek, Travis Rhodes, has some extraordinary coding and web designing skills. He is the man behind the development of Feed Ride. He looks after the Technology news that goes into the site and he never fails to deliver timely reports.